Louise's appearance just seems unnatural to the normal observer. She has a very slight build, and is deathly pale. Her limbs are very bony, and she is pretty underweight for someone her height. She stands at approximately 5'6, and doesn't usually wear any heels or anything. 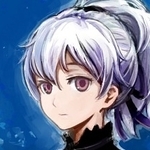 Her face has a youthful look to it, though she can look deathly serious when actually gets upset. Most of the time her eyes and face give off the mood of being detached, mostly due to her inability to get over what happened to her parents. Her eyes are a pinkish red color, which was shared with her mother. Her hair is naturally a silver color, and she doesn't choose to wear it in any elaborate way. She just puts it up, so it is easier to manage. It's important to note that Louise doesn't really wear her own clothes. She never really saw a point to buying any, so she just wears what her parents left behind. Her usual attire for day to day life, are nice purple dresses that her mother left behind. She usually completes these with some form of black shawl, but it depends on the outfit. She doesn't usually wear any shoes beyond simple flats, maybe boots if it becomes too cold outside. Her winter attire mostly consists of a floofy black and white trench coat going with with simple black pants. When she is taking Gym Challenges, she actually dresses up a considerable degree. She wears an old outfit which her father was very fond of, which looks perfect for a nobleman. It is worth noting that with this outfit, she does choose to let her hair down. She also chooses to wear this outfit whenever she leaves her home to go on any sort of official league business. Louise is almost always in her own head. She is constantly thinking about who she is, her place in the world, the role of Pokemon in society, etc. She is highly intelligent, having spent most of her life ingrained in studies of various forms of sciences, literature, history, tactics, etc. It is also because of her studies that Louise is a naturally cunning and manipulative person. She has a hard time connecting with other people, and developing actual reasons to care for those around her. A major exception to this comes in the form of Pokemon, whom she is able to understand easily. She speaks in a very eloquent manner, however she has trouble expressing her emotions with her words. Instead, she resorts to her music and her writing. She feels that she is able to adequately express herself through the creation of art, and little else. 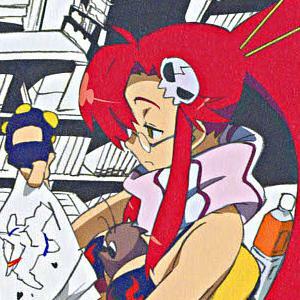 However the more time that she devotes to furthering her art, the more she ends up further hindering her social skills. 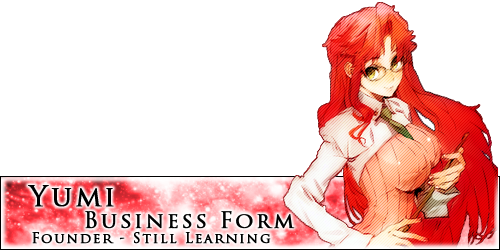 Despite her inability to communicate very well what she is feeling, she is quite charismatic and is able to lead a conversation quite well. 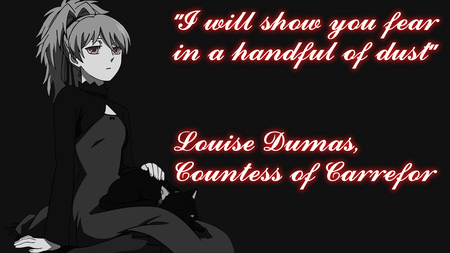 To say that Louise is arrogant would be an understatement. Due to the aforementioned excessively introverted nature, she believes that her problems are the center of the universe. The only constant truth in this world is her pain, and this fact is too profound for normal people to understand. She can only hope to elevate them to her level by creating art for them, but she cannot express the truth of her existence. She also tends to have surprisingly destructive tendencies. When she cannot adequately understand something, it tends to frustrate her. If this gets to an extreme, she can be thrown into a monstrous rage, with little that can calm her down. Passion is also one of the things that definitely sums up in her internal mindset. When she devotes herself to a craft, whether it be music or pokemon battling, she will put her all into it. However this passion is a double edged sword, as it can both inspire greatness in her work, it can also send her deeper into her own destructive tendencies. Her devotion can only be seen as unhealthy, as it comes at the cost of her own health and the health of those around her. If she cannot adequately create the right brush stroke for a painting, she will remain locked in the castle for weeks until she perfects it. Louise has quite the shaky view of morality. She believes that her own interpretation of morality is above that of the law, and has been known to act out because of it. She believes that the most important aspect to her life is whether she can adequately create her beautiful art through battles or creation. She will disregard any societal norm which would possibly inhibit her from accomplishing this. To the outside world, Louise is difficult to understand. She has trouble actually emoting, her body language is unnatural, and her language is just not organic. Combine that with the fact that she lives alone up in a castle in the middle of nowhere, and the people of Veria have some very understandable suspicions of her. The rumors range all over the place. Some saying that she is a vampire, some an alien, some say that she just doesn't have a soul. Louise cares not for their judgement, as they will one day understand her. One day she will perfect her craft and the world will be her audience. Our story begins with an extremely wealthy Kalosian couple. They would both be the result of a successful career working in the artistic world, and they bonded by a shared interest in the finer aspects of creation. Eventually tiring of the tribulations of living in the bustling cities of Kalos, they decided to move to a more remote area. They found the perfect spot in Veria, an abandoned castle situated outside a small town near a graveyard. Quickly moving in, the castle was everything they could have dreamed of. It was secluded, and the Gothic design simply made it perfect for their artistic desires. It was in this castle that the couple would have their first and only child, Louise. The only thing that Louise knew growing up was the walls of the castle. Her parents would encourage her to heavily pursue her studies, so she did. They would also encourage her to develop her artistic skills, so she did. Louise was extremely agreeable as a child, and pretty much did exactly as she was told by her parents. With little direction in life, she was highly unprepared for the first major shake up that happened in her life. One day, around when she was 8 years old, her parents left to try and explore the local surroundings to try and capture the scenery. They never came back. Louise didn't find herself growing worried after the first few days, but soon the inevitable realization set in. With her parents missing, the servants in the manor didn't have anyone who could actually pay their paychecks. It wasn't long before Louise was completely alone in the gigantic bastion of darkness. Luckily Louise was a smart kid, and she managed to keep herself well taken care of. She had mountains and mountains of books in the study, and a few them managed to teach her some pretty crucial skills. She found out how to cook, knit, clean, etc. However, her communication skills weren't really something that the books could help. Being the shy little thing that she was, she never really wanted to leave the castle. After all, from all she knew, everyone who left the castle for long periods of time never came back. She managed to locate the hidden location where her father stored all of the family's savings, meaning that she could finally resupply the manor. Her first venture to the town of Carrefor wasn't particularly great. She had no idea how to even deal with that many people packed into a small area, so she just milled around the town for hours and tried to rationalize how to acquire what she needed. Eventually she managed to get a solid supply of food, however she ran into something interesting on the way back. It was a Pawniard, which seemed to be lost in between the castle and the town. After reading plenty of stories of people interacting with pokemon, Louise attempted to befriend it. The Pawniard wasn't really having it, but it didn't lash out at Louise. With little options, she decided to instead return home. The next day, Louise left for the town again. She wanted to try and get as much food as she could now, so she wouldn't need it later. Once again, the Pawniard was on the road, in the exact same spot. The same remained true the next day, and the next day, and the next. Louise felt herself grow some actual concern for the Pokemon. 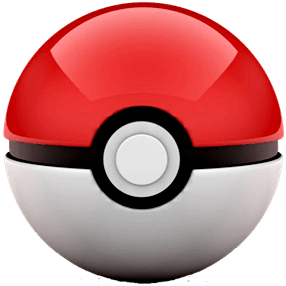 On one of her visits to the town, she actually purchased a Pokeball, with the intent of capturing the Pawniard. She didn't manage to do it very well, but the Pawniard did feel genuine concern coming from Louise. As such, the previously abandoned Pokemon decided to be her friend anyway. She took the little guy back to the castle with her, however she could tell that he was getting restless. He would just randomly slash up furniture, clothing, whatever he could get his hands on. As such, she figured that he probably had some form of desire to battle something. Seeing no reason why not, the young sickly looking girl took her Pawniard to the town, to try and find some opponents. She had read plenty about Pokemon battling, but had a hard time adapting what she already knew at first. However, eventually she was able to beat almost all the other children in the village. So much so, that plenty of the kids grew fearful of her. After all, it was this strange girl who barely talked, and came down from the evil looking castle to beat up their Pokemon. Louise came to discover a second passion in battling, and devoted herself entirely to it's practices. Deciding to specialize in the Dark type, she picked up plenty of similar Pokemon to her Pawniard that could join her team. It became a weekly tradition that the vampire would come down from the castle to battle all of the kids in town, before returning to isolation. It was through these visits that Louise developed a genuine care for the town, despite how she was generally disliked by the locals. Her routine schedule would continue for years on end, with both her artistic and tactical skills improving at any impressive rate. She would plenty of her funds to try and improve the town whenever she would visit, however most people wouldn't even realize what she was doing. All of her charitable donations would be made under different aliases, mostly to avoid drawing attention to herself. To the people of Carrefor, Louise was the mysterious vampire living alone in the abandoned castle, but in reality she was debatably one of their greatest benefactors. Despite her best attempt at secrecy, someone did eventually catch onto both her donations, and her immense skill as a Dark-Type Trainer. This was the Pokemon League, and they quickly approached her about a position they had open for a Dark-Type Gym Leader. Deciding that she could properly display her skill to the world, and teach the value of individualism, she took up the position. Seeing no need to acquire a new building, she just decided to make her already creepy castle into a gym. Needless to say, Louise possesses an artist's hands. Simply put, they were born to create in many ways. She is very precise in her movements, and has great motor skills. 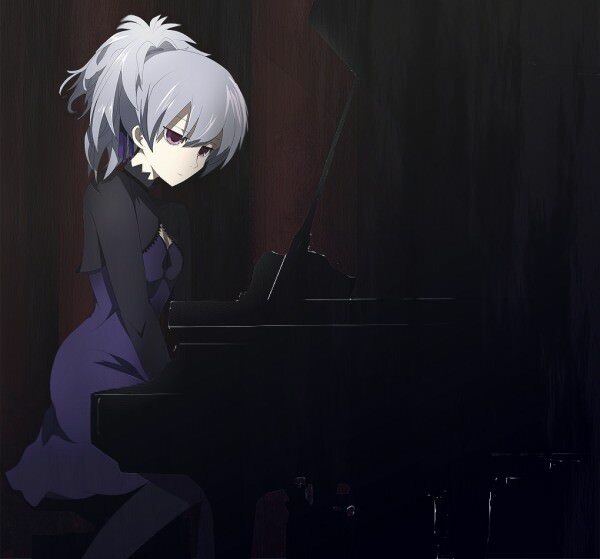 She can play multiple types of instruments effectively, however her best are the piano and the organ. She has a relatively basic understanding of how to play most string instruments and most woodwinds, especially those which would be used in a traditional orchestra setting. Her hands are also perfectly trained for art forms such as calligraphy, painting, sculpting, drawing and sewing. Her is good at performing the finer movements needed to accomplish these tasks at a high level. Due to all her time spent in isolation within the massive castle library, Louise is very well read. She read about all manner of topics, but most of her education is concentrated in the use of language, storytelling, the creation of art, the history of the world, and battle tactics. She does not have much in terms of real life experience, due to the strangeness of her upbringing. She is also notably inept when it comes to saying how she feels, also resulting from isolation. She is likely to know plenty of trivial knowledge about the world, but not much about how much a potion costs at a store for instance. She always wants to try and learn more, so she constantly in of new books to add to her collection. The storm of night acted as a lovely set piece for Louise's next creation. With steady and meticulous finger movements gliding across the piano keys, Louise seeks to create a symphony that would include the forces of mother nature itself. She remained calm during the large pangs of thunder, being too focused on the light pitter patter of rain. After all, the consistent falling of the rain made a much better cadence than something as sporadic as thunder. The articulate melody filled her soul, as she desperately wanted nothing more than to transfer the beauty she heard in her mind into the real world. However, her moment of creative bliss would be interrupted by an unfamiliar noise. A door, inching open as the aged wood found itself once again struggling to move. It was not often that Louise received guests, yet it was nothing that she would turn away from. She adorned her inky cloak, hoping to receive this guest quickly, so that she may return to her work. With the dark of night obstructing her vision, she also opted to take a candle with her. While the light fixtures in the castle worked fine, she always preferred to keep the warmth of a candle with her. The light reverberation of her steps could be heard in the foyer, as she made her way down the grand staircase. Coming into eye contact with her guest quickly, Louise examined him ruthlessly. She could tell that the rain had not been kind to his suit, but it has been more destructive to his mood. "Welcome to my manor, I apologize for any inconveniences you might have experienced on your way here," Louise said, sounding quite enticing and inviting. In reality, she made sure the road to her place was pretty difficult for a reason, but this person did not seem to care. "Please, I implore you, take a seat. I shall arrange a fire for us, so you may hopefully replenish yourself after the journey here," she continued, while making sure to speak properly. She could tell that her guest believed something was off about her, not that she minded. She just wanted to take care of whatever business he had. Soon leading him to the seductive red velvet of her gothic sofa, she implored him to sit down. As she started to walk towards the hearth, the man eventually spoke. He sounded quite frightened as he stuttered out, "I have a request... from... the Pokemon League..." Now Louise was interested.